Added on May 27, 2015 by ROSEGALLERY. The first Photo London has been hailed a huge success, with famous visitors including James Bond actor Daniel Craig, as organizers confirm the dates for next year’s event. More than 20,000 people attended the Somerset House event over four days, in what has been hailed the largest photography fair ever staged in the capital. Showcasing more than 2,000 images, Photo London featured 70 international galleries, and talks by more than 50 photographers and curators. Among the dealers was Peter Fetterman, of the Peter Fetterman Gallery in Santa Monica, USA, who sold a Sebastião Salgado print of an iceberg for $50,000. Fetterman told organizers: ‘We travelled 6,000 miles to come here and arriving at Photo London has felt like coming home. 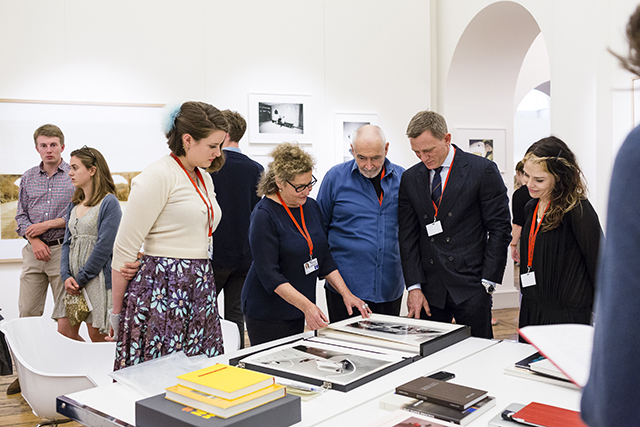 Photo London has confirmed that next year’s show will be held, again at Somerset House, from 19-22 May.